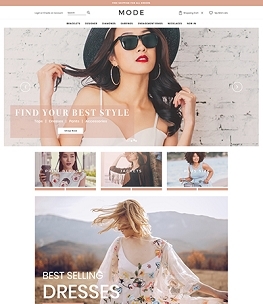 MDash is a sleek, fully mobile-responsive theme with a subtle color scheme that evokes a feeling of luxury and stylish excellence. 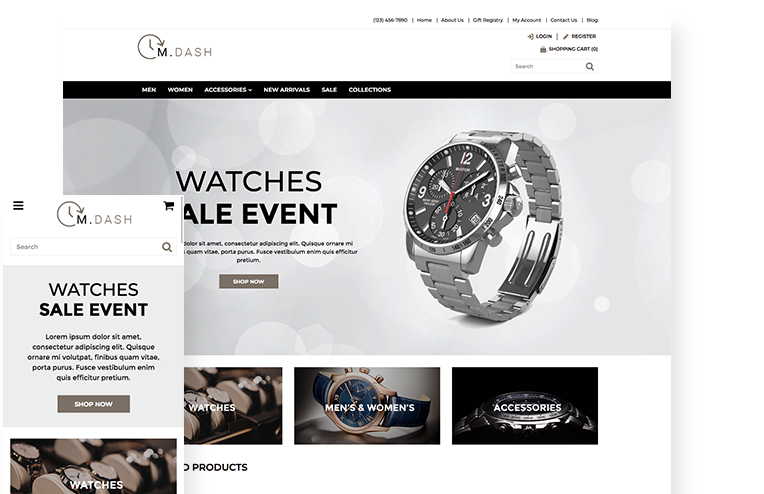 Retailers of high-end watches and related accessories will find that MDash brings their online store an immediate sense of quality, serving well to showcase the fine details of your products. MDash is perfect for both men's and women's watches and flexible enough for your own brand. 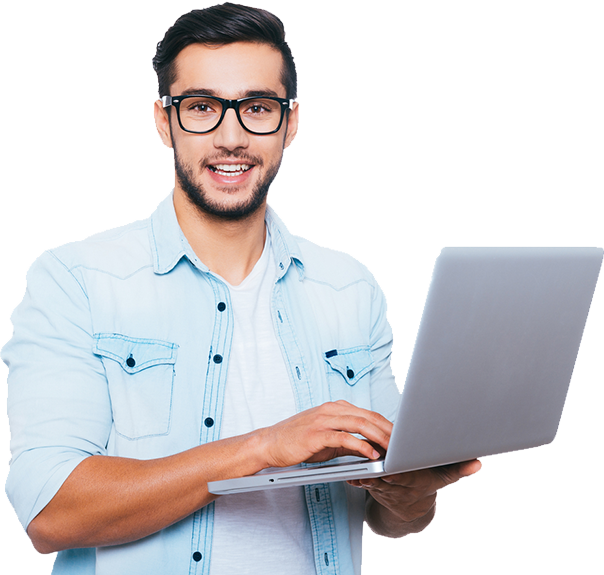 Customers will appreciate the seamless shopping experience your online store will offer them, especially if your target audience expects the very best. 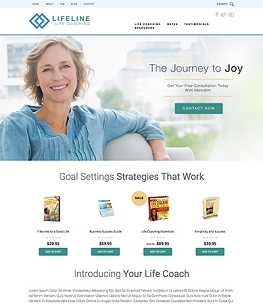 If you need assistance customizing your new theme with a professionally-designed banner, ask us how we can work with you to bring your brand into the spotlight. 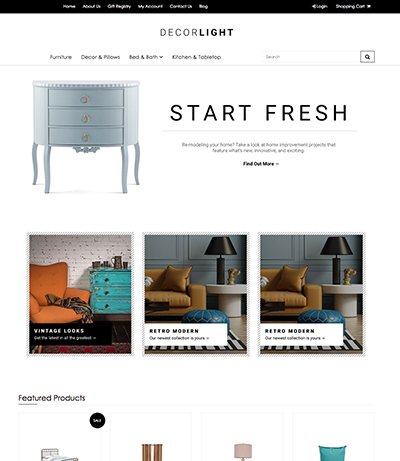 A sticky menu remains visible at the top of the page when the visitor scrolls, ensuring convenient navigation through constant, quick access to all product categories. 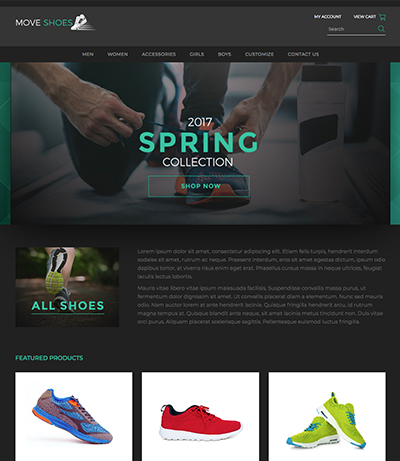 Parallax is an appealing scroll effect that causes certain design elements to remain stationary, giving your online store the illusion of three-dimensional depth. 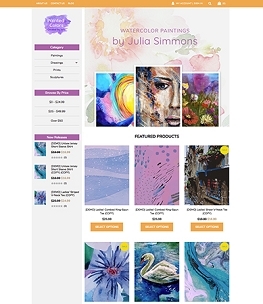 Connect your Instagram account to automatically display your posts directly on your homepage, which shows off your products and keeps them interesting and fresh. A dropdown menu organizes your categories, subcategories, and other pages in a neat menu at the top of the screen. 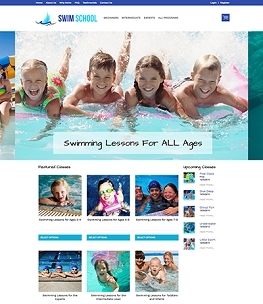 Menu items open up to display subcategories and child pages. 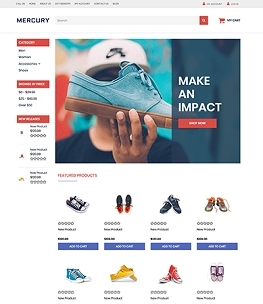 If you're a professional web designer or developer and are passionate about ecommerce. 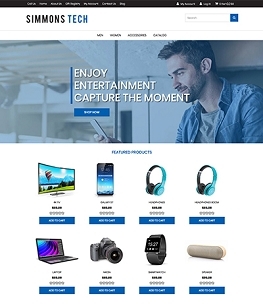 Bring your ideas to life as a 3dcart Theme and help thousands of merchants improve their websites by offering your unique designs in our Theme Store.